The ACTAtek MIFARE® External Reader(IP based) is completely compatible with the ACTAtek Biometric and MIFARE® Smartcard units. 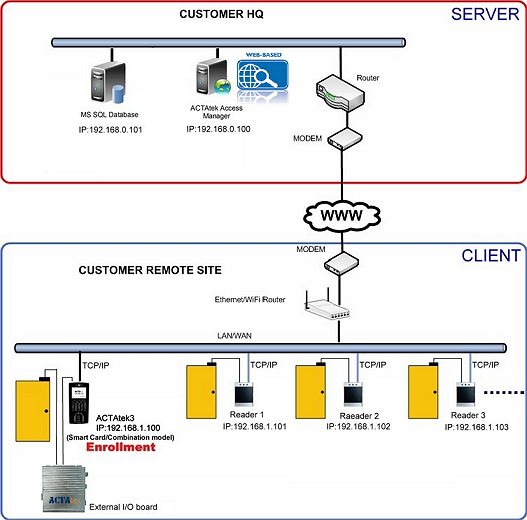 Providing TCP/IP port creates a cost effective means of deploying access control to multiple doors which the administrator will be able to do the remote management via the web-based Access Manager from HQ. 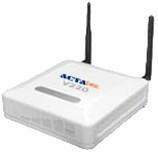 The ACTAtek External MIFARE® Card Reader(IP based) has a relay output to operate a door control. 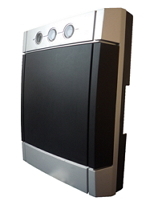 Access is granted or denied through authentication via the MIFARE® smartcard. 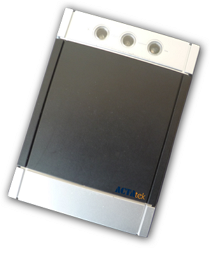 The ACTAtek External MIFARE® Reader(IP based) is an attractive, small, cost effective unit that can be used as a means of extending the ID management platform from a full biometric or smartcard access control system to additional card authentication door access control or time and attendance system. 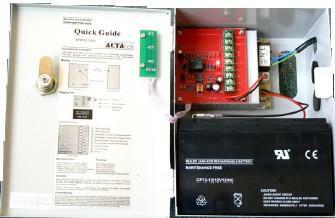 Mobile Battery Kit: IP67 case and battery to power ACTAtek device or IP reader under mobile applications.